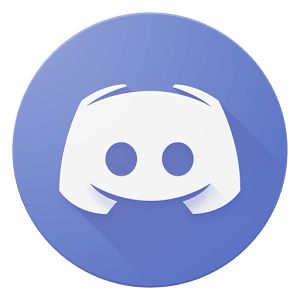 Welcome to the Forge of Gods forum… Join in the discussion today and meet other players who are as enthusiastic about the game as you. Forge of Gods is a multiplayer role-playing game from Panoramik Inc, released in 2016. It features both card collecting and strategy elements and sees players having to assemble and command an army of monsters to save the world of Pangea. The fast-paced action of Forge of Gods requires gamers to kill as many enemies as possible using their assembled units. You can then collect the souls of the slain and evolve them into powerful minions to fight for you. Ultimately, you’ll have to forge an army of gods to rescue the fallen lands. The tactical battle system that the game uses will test your tactical knowledge and skill at every step. With over 1000 different creatures to fight, you’ll have to quickly adapt your strategy to deal with their threat. You can also mix souls together to create hybrid beasts to counteract your opponents. As you explore the game, you’ll encounter over 100 separate locations. Each of these has its own unique theme and art style, giving you plenty to explore either in PVE or PVP mode. Whether it’s completing story quests or duelling with your opponents, there’s a lot to do in Forge of Gods. No matter whether you’re a solo player or want to join one of the game’s guilds, you can undertake epic quests and unlock rare and unique items. The Forge of Gods forum allows players from across the world to chat about all things related to the game. You can start a new topic or contribute to an existing thread. Share your strategy or find a worthy opponent to duel.